Some projects get so involved that they never seem to end! I was working away on my latest Britex project, but something was missing. 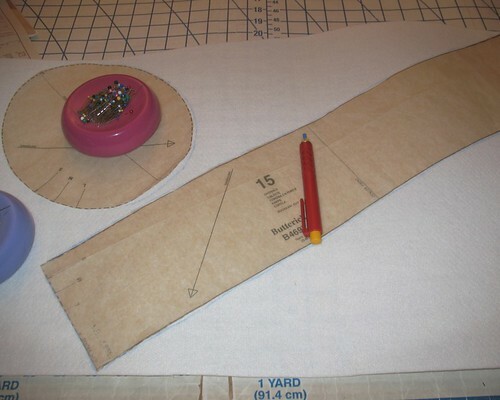 After cutting out my dress (more on that to come), there was a bit of yardage left – not enough to make much of anything . . . except a hat! Perfect! 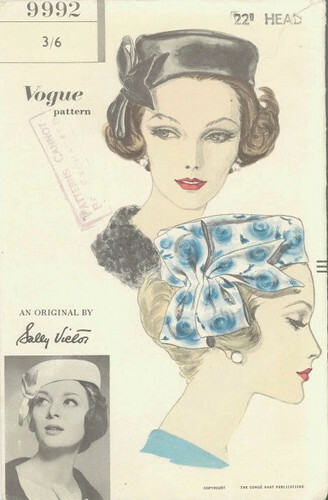 I do not have a pillbox hat pattern, but with a few quick google searches I found enough inspiration to get started. 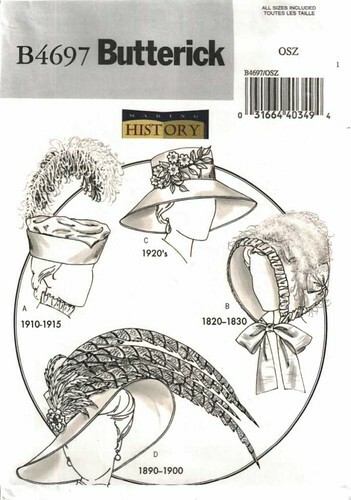 A search through the hat patterns that I did have brought me to Butterick 4697 - no drafting necessary! I have some very thick fusible interfacing that I assume is meant for craft projects. 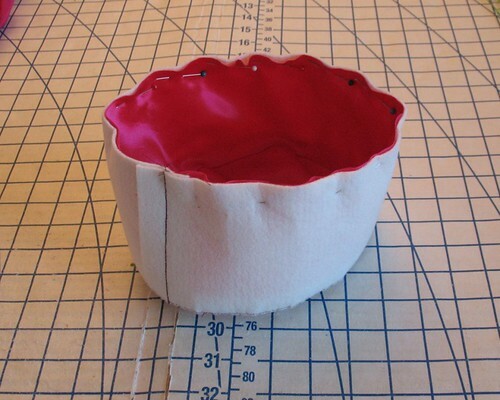 It turns out to be a great substitute for buckram (which is still hiding somewhere in the sewing room). 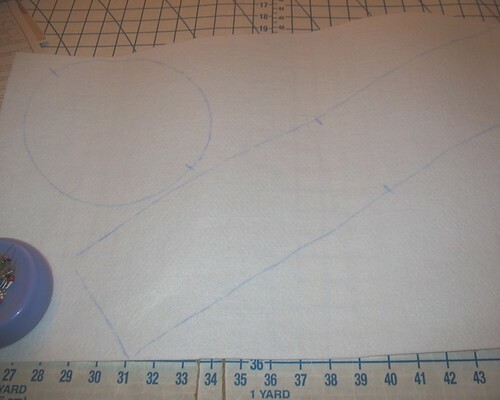 Pinning the stuff was not very fun, so I traced the pattern pieces in chalk. 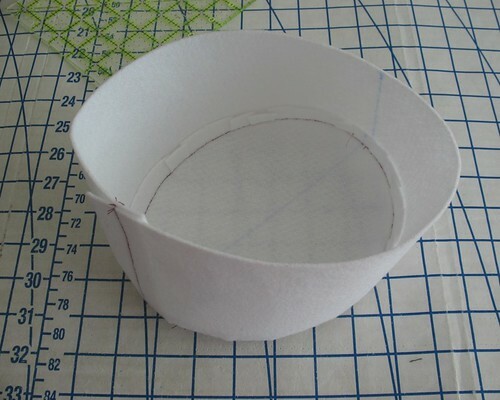 So many online directions and tutorials suggest using glue to construct hats - I just cannot get past the idea of using glue on fabric. I am sure there are situations where there is no other option, but I plan on avoiding them as long as I possibly can. 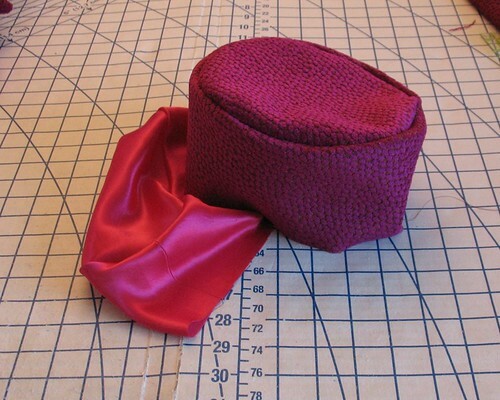 My chenille fabric has quite a bit of drape, so I block fused my hat pieces. 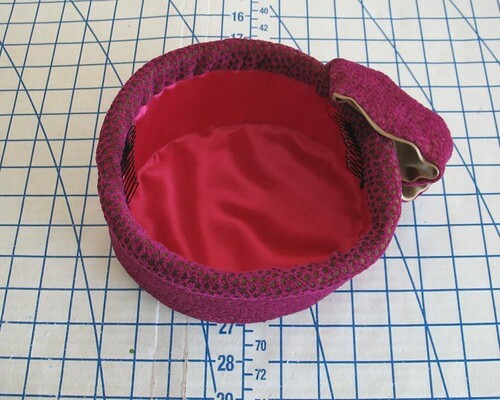 The next step was to cut and stitch a duplicate in lining fabric. 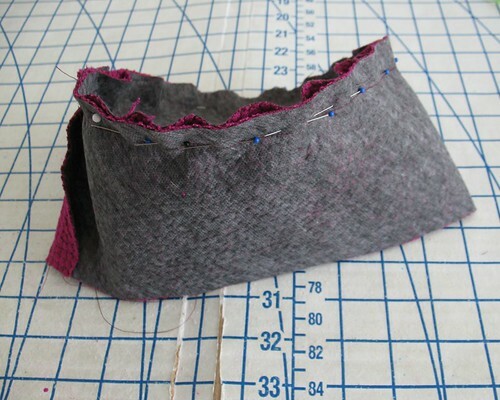 I ended up hand stitching sections of the lining to the crown to keep it from drooping. 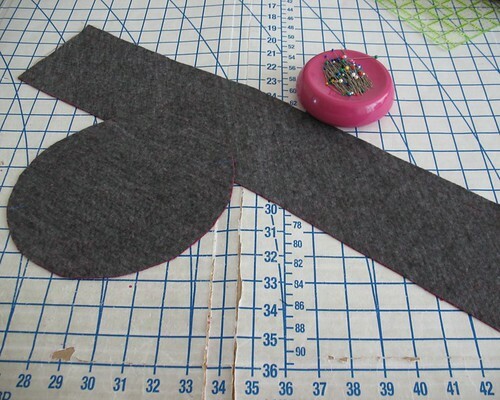 And to finish the raw edges, I used a bias strip with the "wrong" side of my chenille fabric facing outward. The last thing to do was add a makeshift bow similar to my vintage pattern inspiration, and a couple of combs. And it's off to the photo shoot we go! Wow! what a beautiful idea! I can't wait to see the final dress with the hat. I want to make one of these one day! Oh wow! Can't wait to see this all together! 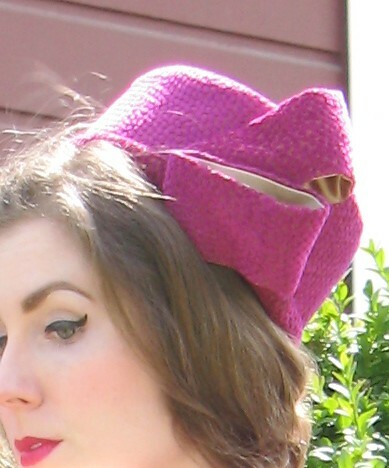 Adding a jaunty bow to a classic pillbox hat like this elevates it from merely lovely to thoroughly stunning (and extra ladylike - which is always wonderful in my books). Stellar millinery work, honey! Curses -- inspired as usual (grrrr...). 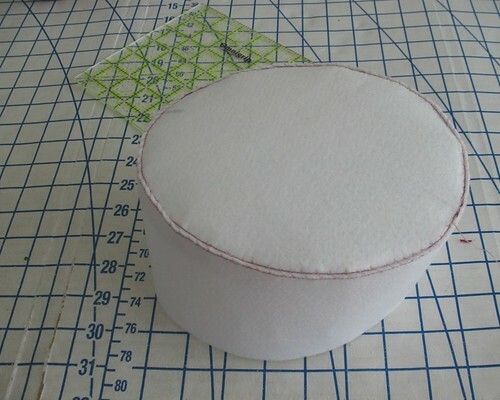 I bought buckram last fall in anticipation of making some hats for Halloween but never got around to it. It may be time! 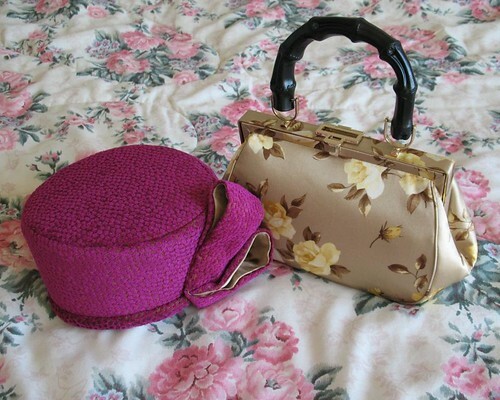 I'm looking for hat/fascinator ideas to go with a dress for a wedding. Walt and I are going to England and I'm assuming an English wedding calls for a hat. This might be something I could actually do! Thanks for the ideas. What a cute hat! You did such an excellent job with it! Your tutorial for Bitex is really helpful, thanks for linking it! The hat, that eye makeup, and of course, you. Laura Mae, you astound by melding perseverance with resourcefulness and taste. I spotted the hat yesterday in your Britex post and can I say - incredible! You are amazing! !